a state-of-the-art cosmetic clinic in Belfast, Guernsey & Jersey that houses the most advanced cosmetic procedures. Founded by Cosmetic Dermatologist, Dr John Curran, former president and Fellow of BCAM, British College of aesthetic medicine, the ASC is home to an award winning team of innovative and respected cosmetic doctors, surgeons, dermatologists and aesthetic nurses. Specialising in innovative surgical procedures, we perform breast enlargement, facelift surgery, Vaser liposuction and skin-tightening procedures. We also provide non-invasive alternatives, with a strong emphasis on Thermage and our new Ultrasound technology Ultracel, skin rejuvenating treatments including wrinkle treatment, chemical peels, volumising facial treatments and Obagi skin care. The ASC offers the most effective and safe treatments, alongside a five-star service. At the ASC, we are dedicated to our patients. We want our patients to be as well informed as possible, so that their treatments are not only the best treatments possible, but also conducted to the highest standards, with the utmost care and attention in a friendly, warm welcoming and safe environment. Most of all, we are doctors, who care about you and who place your health and interests as our primary concern. We will never lose sight of the deeply personal nature of what we do for you and delight in helping you achieve your goals. Our vision is to create a one-stop centre of excellence in cosmetic dermatology and surgical procedures, pushing boundaries and outcomes using superior products and the best of class technologies in the hands of some of the most experienced, skillful medical and surgical teams. 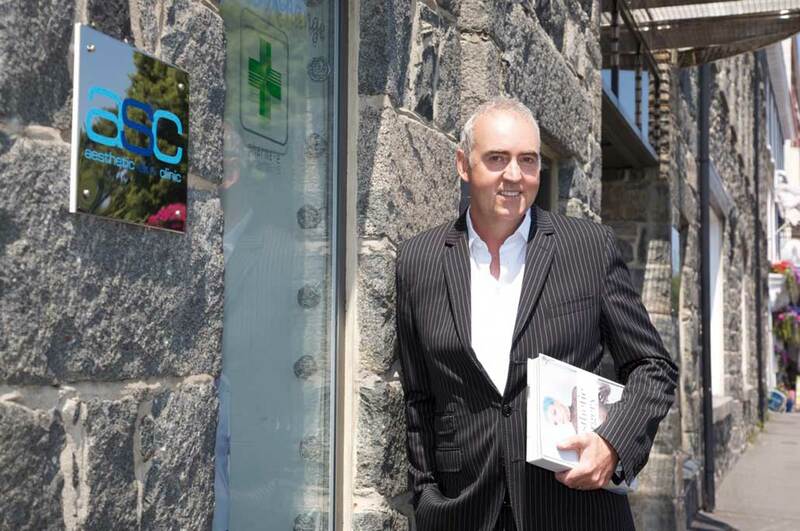 Dr John Curran is the Medical Director and Owner of the Aesthetic skin clinics, with over 15 years’ experience in the cosmetic field. Opinion leader, Fellow and former President of the BCAM with over 30 years experience as a medical doctor. Dr Curran is widely recognised by the profession as a Master in the field of Cosmetic Dermatology. He has been named in the top 30 doctors in the UK delivering ‘state of the art’ results in skin rejuvenation, anti wrinkle treatments and Dermal Fillers with natural results. His success in delivering the natural look has been attributed to a deep understanding of facial anatomy and structure combined with an acute ‘aesthetic eye’, hand in hand with his mantra of restoring youthful beauty to create the best you.